Paul Aplin is Professor of Geography at Edge Hill University. His central research theme is environmental remote sensing, and he has active projects in monitoring tropical peatland degradation using optical imagery. He currently works in San San Pond Sak, Panama and North Selangor Peat Swamp Forest, Malaysia, the latter of which is funded through his recent Ralph Brown Expedition Award from the Royal Geographical Society and an associated data grant from NERC’s Airborne Research and Survey Facility. Andy Baird is Professor of Wetland Science at the University of Leeds. He is interested in the ecohydrology of northern and tropical peatlands and in modelling peatland development over centennial to millennial timescales (using the DigiBog model). His current interests include water-table dynamics in tropical peats and how these are affected by peat permeability and transpiration. 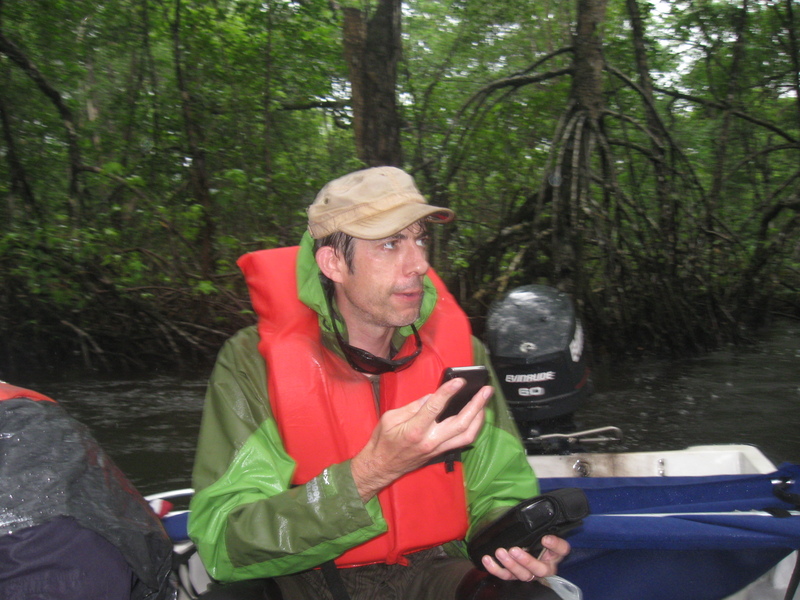 He spent five weeks in late 2014 investigating hydrological processes in part of Changuinola peat swamp in Panama with Panamanian and UK colleagues (Omar Lopez, Smithsonian Tropical Research Institute; Dr Rob Low, Rigare Ltd, UK; Graeme Swindles, University of Leeds). 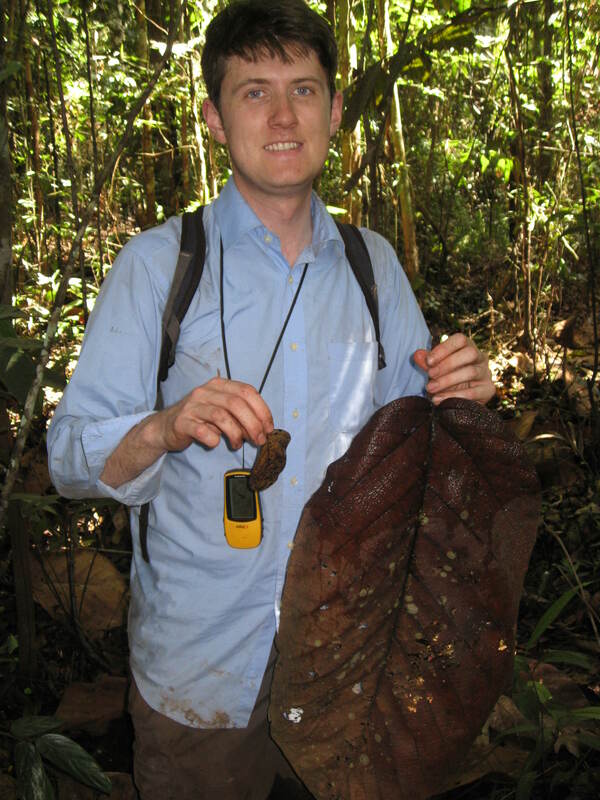 Dr Tim Baker (University of Leeds) is a specialist on the macroecology of tropical forests, especially in Peru and Ghana, although he has worked widely across the tropics. His research on the underlying causes of biodiversity was recently covered by the BBC. 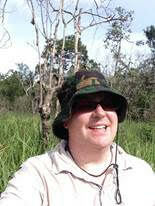 He has been closely involved in the recent research on Amazonian peatlands. Dr Lydia Cole is a Research Associate at the University of Oxford, investigating the long-term resilience of tropical peat swamp forests in Sarawak, Malaysian Borneo. She is currently working on the development of a landscape intelligence tool for tropical peatlands, with the goal of increasing the speed and reducing the cost of accurately mapping, measuring and monitoring peatland extent and carbon content, to aid in the more sustainable management of this highly threatened ecosystem. Sarah Cook is studying for a PhD at the University of Leicester entitled ‘Fluvial organic carbon losses from oil palm plantations on tropical peat, Sarawak, Malaysia’ supervised by Prof. Sue Page, Dr Mick Whelan, Dr Vince Gacui and Prof. Chris Evans. Sarah has already undertaken several fieldwork campaigns in Borneo, with more fieldwork planned for August 2016. She graduated with a MSc in Sustainable Management of Natural Resources in 2014 and a BSc (Hons) in Physical Geography in 2013, from the University of Leicester. Dr Greta Dargie recently completed a PhD at Leeds entitled ‘Quantifying and understanding lowland peatland spatial distribution and carbon storage in the Congo Basin’ supervised by Simon Lewis and Ian Lawson. 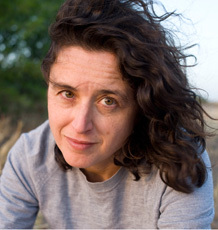 Greta’s work has received national media attention, including coverage on the BBC. 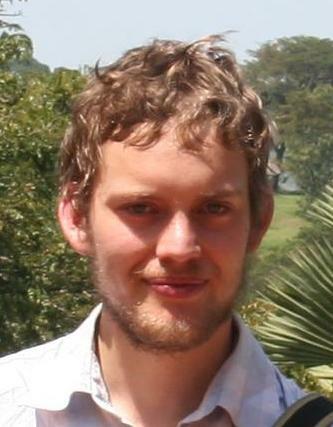 Dr Freddie Draper recently completed a PhD at Leeds, looking at the dynamics and carbon storage of wetland systems in Peru. His lead supervisor is Katy Roucoux. He graduated with a BSc (Hons) in Ecology from the University of Aberdeen in 2011. His work on Amazonian peatland carbon storage was recently covered by the BBC, and has led to a $6 million investment through the Green Climate Fund. Dr Angela Gallego-Sala is a biogeochemist with primary research interests in climatic regulation of peatland function and extent, and of biogenic trace gas emissions from peatlands. Her broader interest is in greenhouse gas balances, integrity of carbon stores, upland conservation and tropical peatlands. Her strength lies in having both field and laboratory experience together with modelling knowledge. She is currently involved in a NERC-funded project entitled “Peatlands and the global carbon cycle during the past millennium: an assessment using observations and models”. She also works on a project funded by South West Water monitoring methane emissions in restored peatlands in South West England. She previously worked in Lund, Sweden, modelling the dynamic interactions of fire, vegetation, climate and human population in Mediterranean areas as part of the FUME European project. Earlier on, she worked at the University of Bristol, on a project entitled “Climate Change and the Uplands” commissioned by the Environment Agency, to study the implications of climate change for peatland soils in the UK and the effects on ecosystem services including carbon storage, flooding and water quality. Previously, she worked towards a PhD funded by NERC with a CASE studentship entitled “Temperature effects on trace gas production and uptake in aerobic and anaerobic soils” at the University of Bristol. Dr Tom Kelly recently completed his PhD entitled ‘The long-term development of peatlands in Peruvian Amazonia’ at the University of Leeds. Tom examined the hydrology and palaeoecological history of peatlands near Iquitos, with publications forthcoming on this work. Tom and Freddie recently co-wrote a popular article summarising the group’s work on Peruvian peatlands which can be found here. Dr Ian Lawson is a lecturer at the Department of Geography and Sustainable Development, University of St Andrews. His background is in palaeoecology and his current interests include the long-term development of peatlands in South America and Africa, their geochemistry, and carbon accounting. Dr Ed Mitchard is a Chancellor’s Fellow in the School of GeoSciences at the University of Edinburgh. His research focuses on the mapping of tropical forest and savanna vegetation using remote sensing. His group mostly works on the mapping of carbon stocks and the location of deforestation and degradation using radar remote sensing, but he also has interest in mapping vegetation types more generally using the whole suite of remote sensing data available. He co-supervises two PhD students in the group, Freddie Draper and Greta Dargie, assisting them in mapping peatlands in Peru and the Congo basin respectively. He has a blog called ‘Deforestationwatch’ which can be found here. 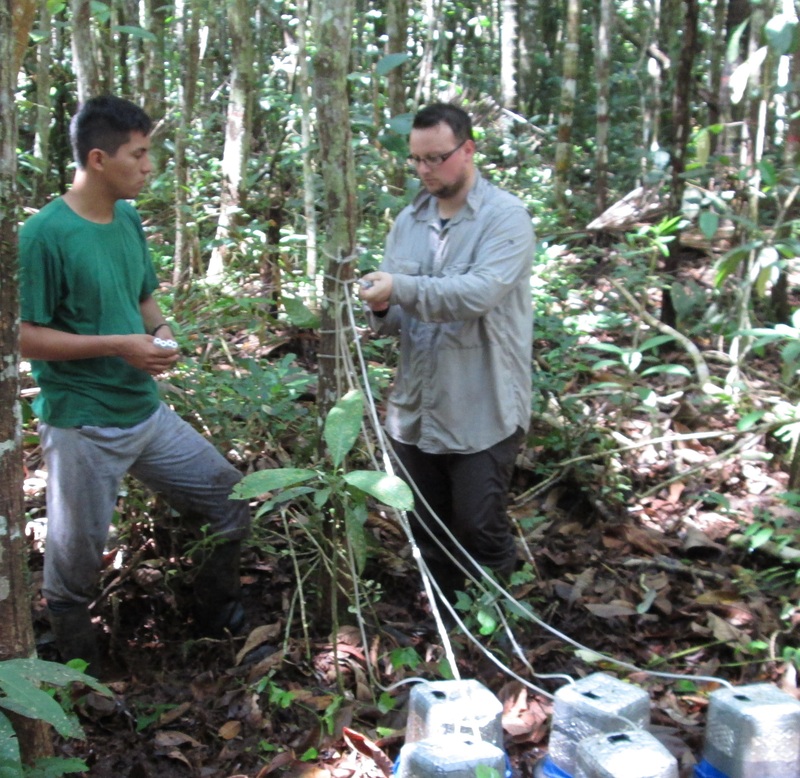 Wayne Murphy is studying for a PhD at the University of Leicester examining the greenhouse gas fluxes (see left) emanating from Amazonian peatlands. Wayne has undertaken several field campaigns in the Peruvian Amazon in both the wet and the dry season, and is currently examining the data collected. Wayne recently presented some of his results at the EGU meeting in Vienna, the abstract for which can be read here. Prof. Sue Page is an ecologist and a biologist by training with research interests in wetland ecology and functioning and wildlife conservation. Her current research primarily concentrates on the tropical peatlands of Southeast Asia, but she also supervises research projects on peatlands in South America, Central Africa, as well as on lowland peatlands in the UK. Her research on tropical peatlands has emphasized how important it is to convert scientific knowledge into policy and practice. Sue is a Lead Author for the recently published IPCC guidelines for national greenhouse gas inventories: wetlands. She has been an instrumental member of the UK-TPWG since its inception. Sue was quoted in a recent article in ‘Geographical’, the magazine of the Royal Geographical Society, in which she discussed the recent fires in Indonesian peatlands. Dr Katy Roucoux is a lecturer at the Department of Geography and Sustainable Development, University of St Andrews. She was PI of the NERC Small Grant that initiated our palaeoecological research in Peru, and has been involved in several PhD projects looking at Amazonian peatland history and carbon storage since 2010. She has previously worked extensively on fossil pollen from lake, peat and marine sediment sequences from the Iberian margin, central Germany, Greece, and Iceland. Dr Thomas Smith is a pyrogeographer interested in establishing greenhouse gas and haze-forming emissions factors from wildland fires, and understanding the variability in these emissions between and within different ecosystems. 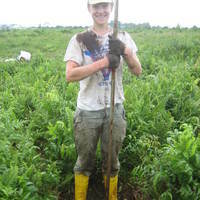 Tom is predominantly a field scientist, making in situ measurements of smoke constituents using open-path spectroscopy. Most of his research to-date has been in the relatively well-studied wildfire regions of Australian and Africa savannahs, as well as on the less well-studied heathlands of the UK. Funded by the RGS, Tom is embarking on fieldwork to SE Asia to study emissions from tropical peatland fires, hoping to shed (infrared) light on this hitherto understudied smoke. Dr Graeme Swindles is primarily interested in the use of quantitative reconstruction and statistical modelling techniques for understanding long-term climatic and environmental change. Major research foci include: (i) the long-term ecohydrological dynamics and functioning of temperate, tropical and arctic peatlands; (ii) the use of testate amoebae as environmental indicators in peatlands and lakes; (iii) high-resolution dating methods including tephrochronology; (iv) the critical examination of past human response and adaptation to climate change using palaeoenvironmental and archaeological data; (v) the use of palaeoenvironmental data and probability modelling in geohazards research. Béatrice Wedeux is recently completed a PhD at the University of Cambridge. Her project assessed the impact of human disturbance such as drainage and logging on tropical peat swamp forest within the former Mega Rice Project area in Central Kalimantan. Béatrice used a combination of airbone laser scanning data, satellite data and ground-based measurements to address her research questions.